April 2011 while watching Om Namah Shivay in Sahara one TV channel in Guwahati, I came to know about the story of Bhimasur. Kumbhakarna had love with Karkati, daughter of Patal Loke King. When Ravana came to invite Karkati’s father and Kumbhakarna to fight with Ram. Kumbhakarna did not want to come until Ravan agreed to get him married to Karkati. At last on the advice of Narada, they got married and Kumbhakarna left Karkati till the war was over. After Kumbhakarna’s death Karkati gave birth to Kumbhakarna’s son. Who was named as Bhimasur after being trained by Karkati to fight against Ram. Bhimasur did penance to get boon from Lord Brahma. He later challenged Lord Vishnu to fight with him, which he agreed and lost war with him to keep Lord Brhama’s boon. This made Bhimasur arrogant and he started conquering various kingdoom and imprisoned the king of Priyadharman and his wife Dakshinadevi of Kamrupa. King Priyadharman and his wife were worshinping Lord Shiva even in prison. When Bhimasur send his army to stop King worshiping, but they were destroyed by rage of Lord Shiva and later Bhimasur was also killed by Lord. 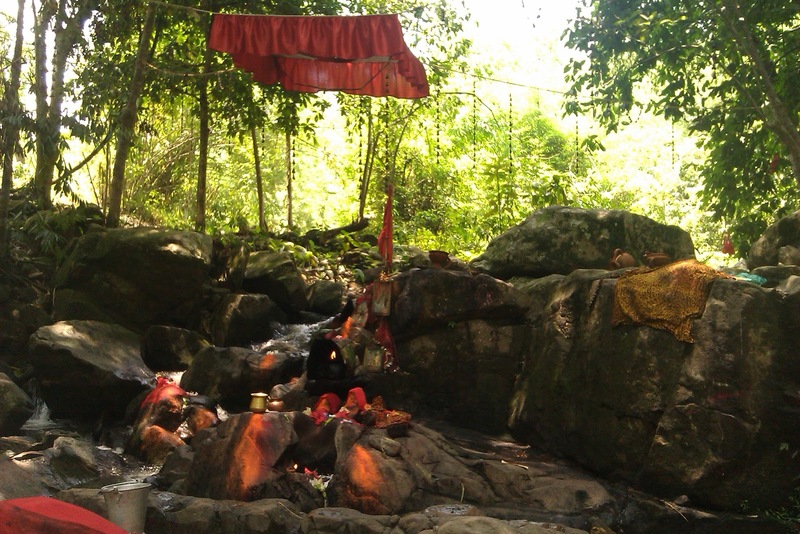 The place where king was worshiping Lord Shiva was named after Bhimasur as Bhimasharkar. After watching the serial on Sunday I was returning back to Hyderabad from Guwahati. On the way to Airport visiting Lankeshwar Dham A Shiva temple on the top of a hill after Guwahati Univercity. 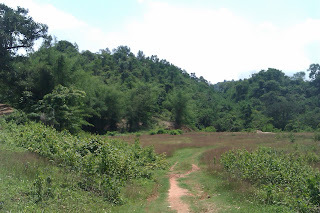 I asked priest casually “where is Bhimashakar Dham?” to my surperise he got up and showed me down the hill on the back side of Deeporbeel Bhimashakar Dham. When I asked him how he knows about it he told a different story, which according to him was revealed to him in his meditation 40 years ago. It was similar to TV version except he told that Bhimasur wanted to take revenge from anyone praying Ram (Vishnu). He imprisoned the Devotee of Lord Ram a King in Kamrup and then Lord Vishnu appeared and killed him with Sudarshana Chakra. 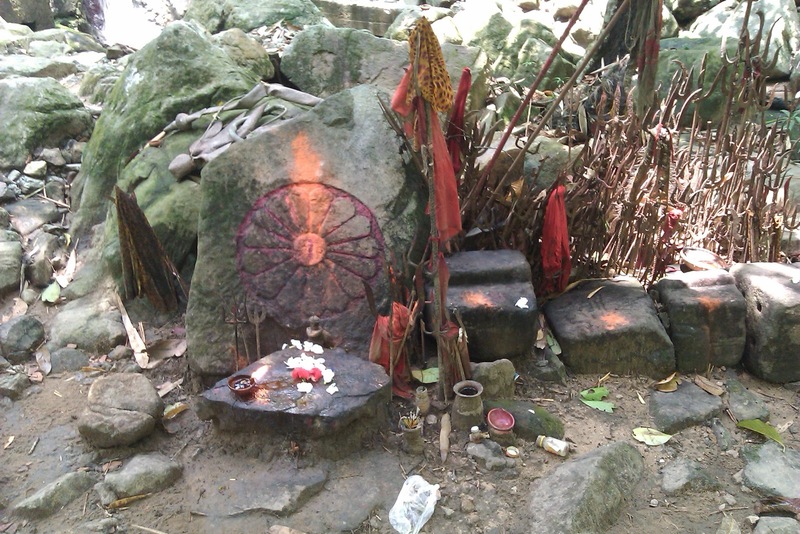 The place was named after Bhimasur as Bhimasankar which is one of the Jyotirlingam. I wanted to confirm it from net , and found there is a Bhimashakar Dham in Bhimashanker Village of Bhavagiri 50 km north west of Khed, near Pune in Maharashtra. Story behind it was almost similar to what I came to know from last two sources. But there was a mention of real Bhimashakar dham in Guawati in Brahampuri hill according ot Shivpuran. 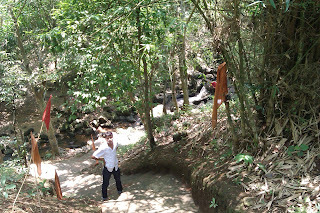 My next objective was to go through the Shivpuran to find the real story, it was offcourse about a king of Kamrup who was imprisioned and at last Lord Shiva killed Bhimasur. Then what is Bhimashakar Dham of Pune. 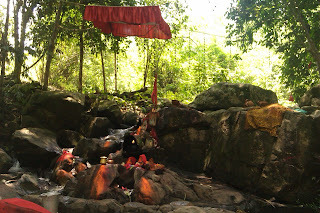 There are two stories goes, one about Tripurasur, who was blessed by Lord Ganesh was killed by Lord Shiva in Bhim rup and second was probably Karkati the mother of Bhimasur was from Pune and he went to Prgjyotishpur (the ancient name for Guwahati) to imprision King who was devotee of Lord Shiva and later killed. Why people still do not know anything about it? Anyway my aim was to find this new location which was unknown to people of Guwahati. 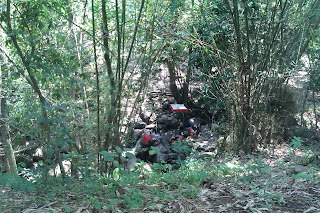 After two three trips r I found the exact way from the Lankeshwardham priest and try to search on 22nd May 2011. It is from Gurshukh cross rood on NH37 after Birla Balaji templ on the left side while going to airport. As we were approaching the hill off the main town toward jungle there was very little information to the local residents of the area. 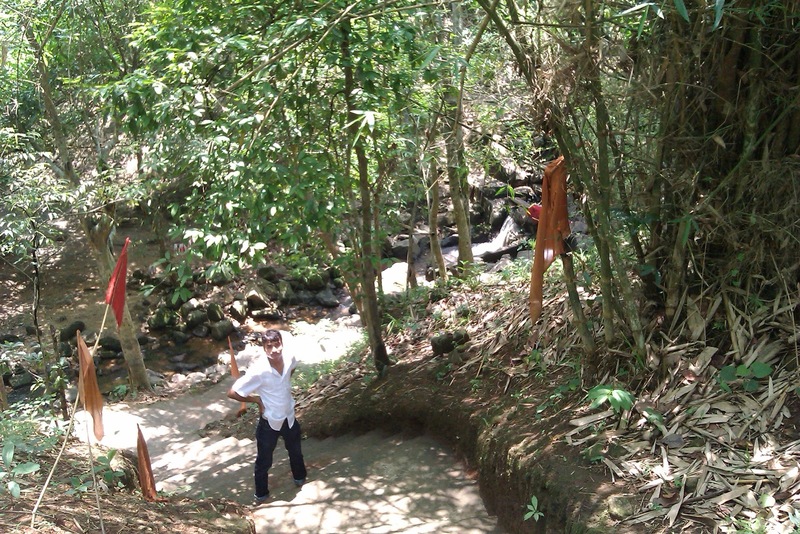 At last we found an arch which took us almost a kilometer inside the hill in totally remote area. 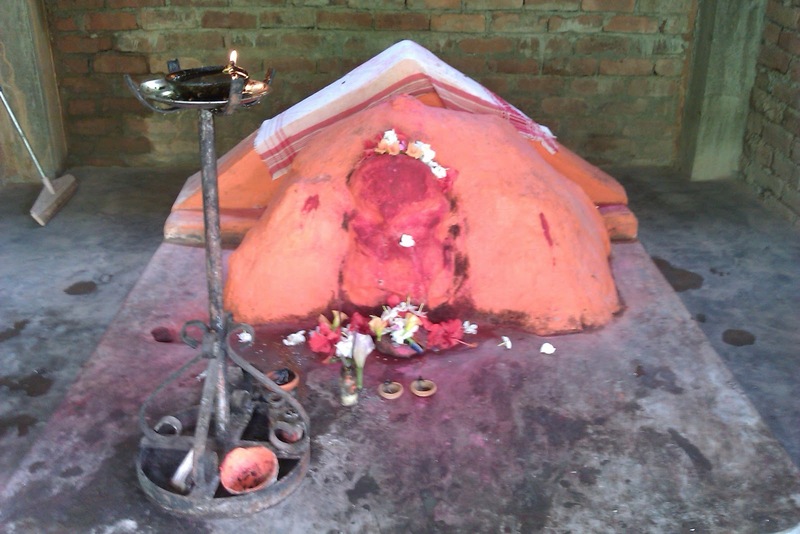 Name of the Shiv Ling known to local people is Pachdhara Dimbeshwar swamy. It was pleasant since it had rained that morning and there was mud road leading inside. there is a Lord Ganesha temple on the half way unfinished unmaned. On walking down for 500 meter down the hill there was a stream and Shiva Ling. There is no temple but it was so natural and beautiful that an artificial temple would spoil the beauty. 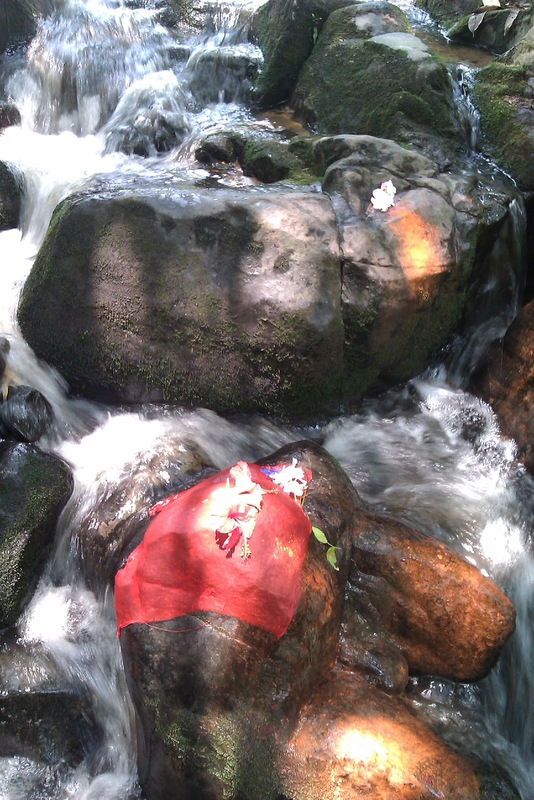 Shivling is on the center of clean stream flowing down the hill. We took photograph and while returning found three more devotee who also came with a donation box to develop the place. 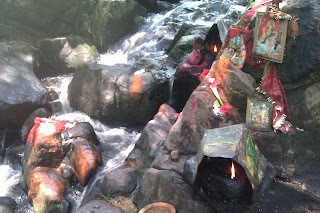 Since then on my way back to Hyderabad from Guwahati every third Sunday I visit the place and within few month. Every time I visit the place there is some new development and at last they put the board of Bhimashankar Dham. People visit from different part of country from UP, Rajistan to Assam. However still this is not a well known place to Assamies and rest of Indians. 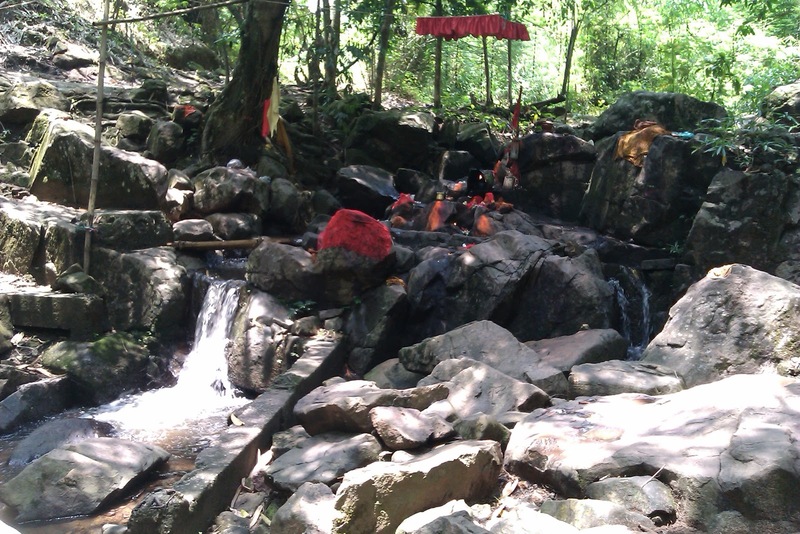 You can see Lord Shiva and His family on clossing eyes. Pl state the route to Bheemashankar in Gaughati. Hello. Can you please tell me the exact location in google map. I am confused in the map. I got the Balaji temple on NH-37. I wish to go there. I will come from airport. 2 kms from Balaji Temple. Lovely pictures. Supposedly home to one of the 12 highly sacred Jyotirlinghas in India, Bhimashankar Temple is a revered religious site near Pune. According to Shiv Mahapuran, once Lord Vishnu and Lord Brahma had a heated argument related to superiority of creation of the universe. To test them, Lord Shiva divided the 3 worlds into pillars of light and named them jyotirlinga. Both of them started downwards and upwards to find the end of this light. Explore all about Bhimashankar temple.